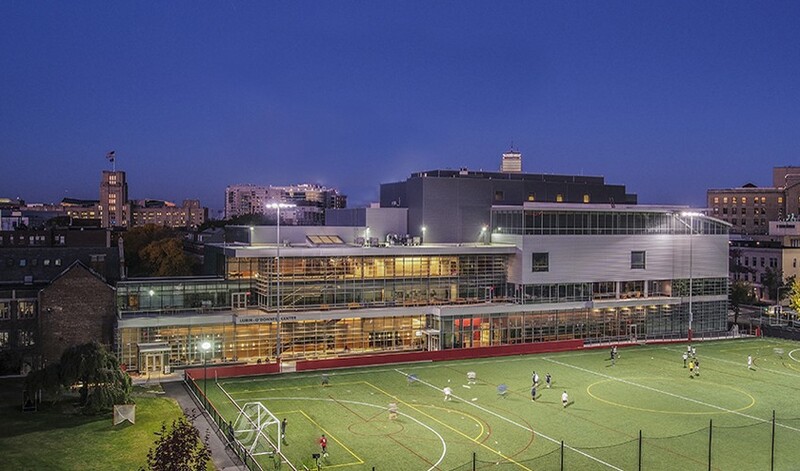 Located in the heart of the Longwood Medical Area, the six-story Lubin O’Donnell Center on the campus of the Winsor School features a state-of-the-art performing arts center and a health and wellness wing with two gymnasiums. Sunrise’s scope of work included installation of aluminum composite material at canopies, soffits and accent bands at the west elevation. Morin X-16 corrugated metal panels were used in two custom colors on the majority of the project, and perforated stainless steel corrugated panels were used as an acoustical sound wall generator. Custom extruded panels were used on the west elevation at the upper floors, and standing seam flat lock panels were used on the west, east and north elevations. Additional scope included louvers and interior sunshades in the gymnasium. General Contractor: Lee Kennedy Co. Inc.